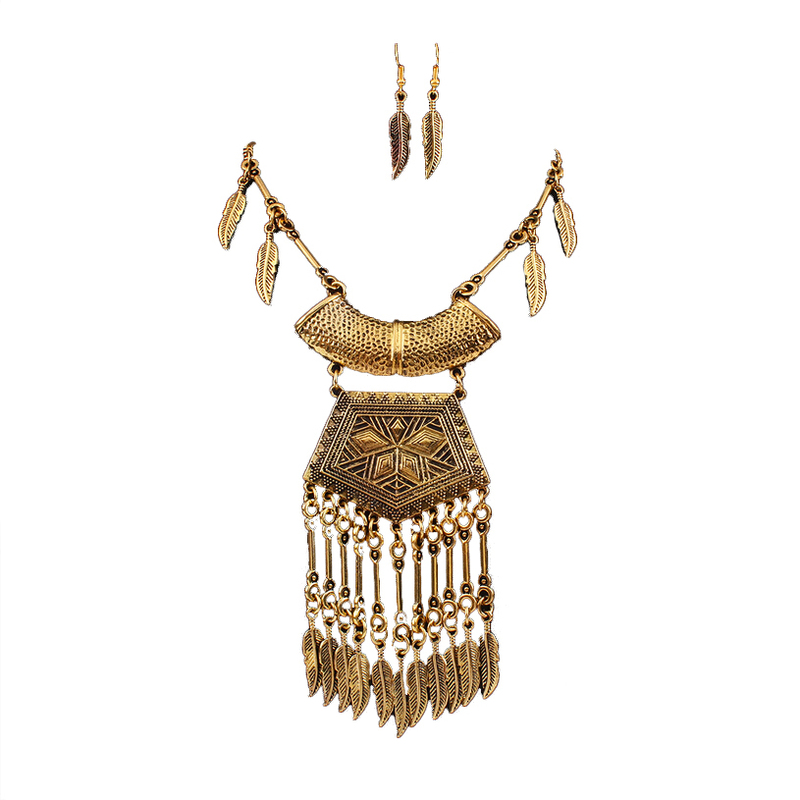 Fashioned with leaf-shaped danglers and large pendant, this Florinda Necklace Set lets you shine with a brilliant elegance all your own. Matching golden drop earrings. We specialise in cheap jewellery online. Enjoy browsing boho jewellery items here today.